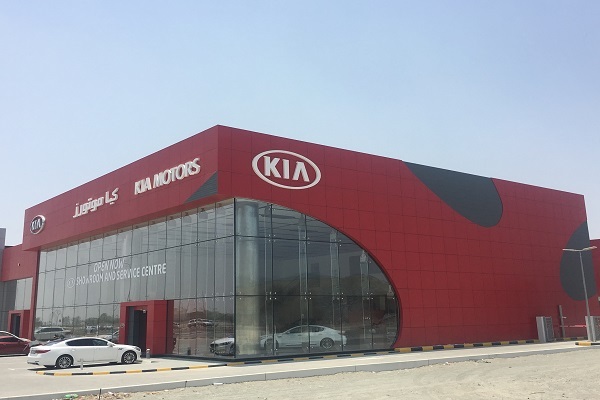 Al Majid Motors Company, the automotive division of the Juma Al Majid Holding Group and an exclusive distributor for Kia Motors in the UAE, has launched its all new Kia sales and after-sales centre at Haleefat Area, next to Shaikh Khalifa Bin Zayed Al Nahyan Foundation Hall in Fujairah. The state-of-the-art facility, which spans over 5400 sq m, is home to a Kia showroom and an advanced Kia Service Centre with a fully equipped Auto Body Centre to cater to the growing demand for Kia vehicles in Fujairah. The large new facility is part of Al Majid Motors Company’s wider expansion plan, which is focused on enhancing the company’s customer service in the UAE. Mohammed Khader, the President of Al Majid Motors Company, said since its inception as the sole distributor for Kia in 1988, the group has remained committed to its founding philosophy of satisfying customers through a combination of honesty, integrity and social awareness." "Our new facility is a major milestone in our journey toward providing an exceptional customer experience by offering Kia consumers the ultimate convenience, ease and quality that our group has become renowned for," stated Khader.